I always lose my bookmark for this command and have to search around for it so thought I would toss it up on the blog. If you are upgrading from a normal .bin image you will have to erase that image file from flash or you will not have enough space. Once you have the device manager running you can always upgrade it right through the site itself. 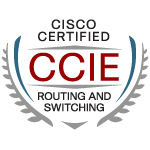 He writes a great blog and is moving on to his CCNP. Send him a congrats if you get a chance! Glad to see the correct thing done. Hopefully now the return on Ethan’s blog will follow!